Nikkei Women Legacy Association will present Edgar Award-winning author Naomi Hirahara for the premiere NWLA Speakers Series event on Sunday, Nov. 16, at 5 p.m. at Napa Valley Grille, 1100 Glendon Ave., Los Angeles. 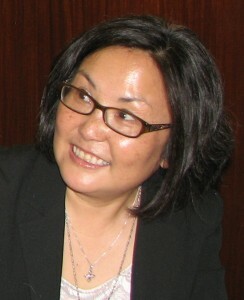 Hirahara’s remarkable accomplishments encompass former positions as reporter and editor of The Rafu Shimpo, inclusion in various short story anthologies, numerous nonfiction books on distinguished Nikkei and Asian Americans, and her highly acclaimed mystery series featuring Mas Arai, a Japanese American gardener with crime-solving skills. “Born and raised in Southern California, Naomi is an exemplary role model for Nikkei women and the Nikkei community,” event organizers said. “Her award-winning mystery series imbues her Japanese American upbringing within the fictional world of Mas Arai and his sleuthing exploits. The immense popularity of Naomi’s books present an entertaining ‘slice-of-life’ glimpse of Nikkei culture to the global community.